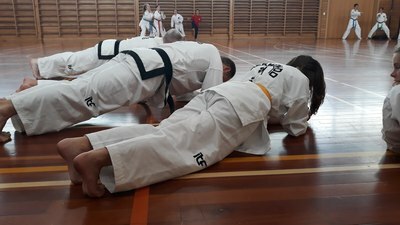 The Mosgiel Taekwon-Do (ITF) is led by Mr. Dion Bennett, 2nd dan. We train on Mondays and Wednesdays from 6pm - 7:30pm, and mini-kids train on Wednesdays only from 5:30pm to 6:30pm. Our dojang is the Taieri College Gymnasium (entrance off Church St). Membership is open to anyone over the age of six. Your membership allows you to train with any other ITF club world-wide. Getting started is pretty simple - you are welcome to come and observe at any time and one of the club members will be happy to answer any questions you may have. If you let us know you are coming we'll make sure we meet you on the night and give you a quick overview of how the class runs and buddy you up with someone so you get the hang of what's going on. You do not need a dobok to start training with us. The first month is free and during this time we recommend that you wear a t-shirt and sweat pants, or something that lets you move freely. 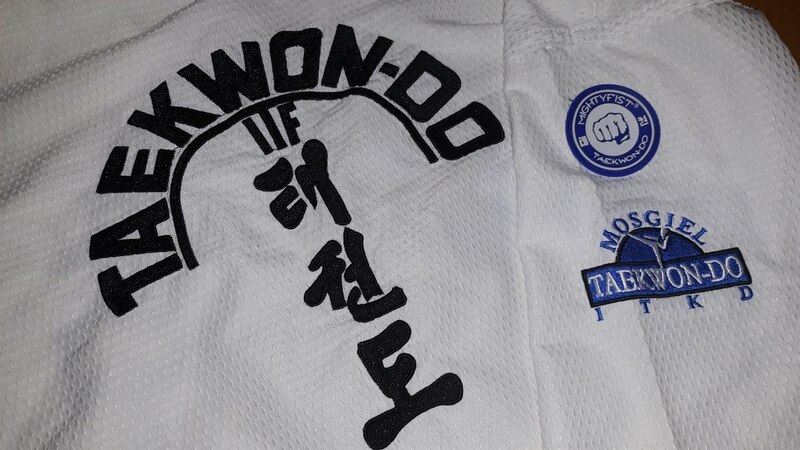 Taekwon-Do is a martial art and sometimes we make contact with each other. We require the use of mouthguards for sparring. 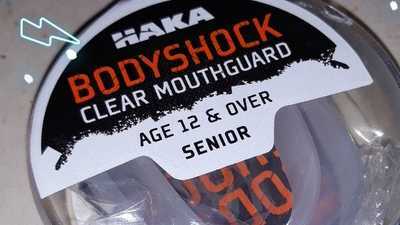 Mouthguards must be transparent and not coloured. 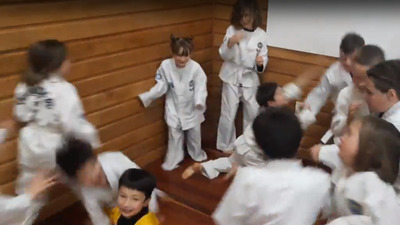 Actually starting in Taekwon-Do is the biggest hurdle, but not for our kids - we have a good group of kids who love to work and play together to learn about Taekwon-Do. Find out if it's right for your children. Our main class is for students who are not part of the mini-kids programme (see below). Each session begins at 6pm sharp. It is expected that you are at the dojang before that time, have changed into your dobok and have greeted your seniors appropraitely. You should also allow adequate time to go through your warmup routine (stretches etc). This allows us to make the most of our time in the class. Other students will be able to assist you with your stretching routine if you need help. At the end of the class (usually between 7:30pm and 7:45pm) the class will form up again and any important information (usually about upcoming events) will be given. The class will then be dismissed. Some students may remain afterward to practice their patterns, step sparring or board breaking. We must clear the gym by 8:00pm. From time to time we have official gradings where your knowledge and abilities are assessed. These gradings are conducted in conjunction with other local clubs, either at our do-jang or elsewhere. The mini-kids class is suitable for children from the ages of six to ten. Sometimes kids will "grade" out of the mini-kids class and into the main class earlier than ten, depending on their level of attention and capabilities. We work with the kids and parents to make the transition from the mini-kids class to the main class as easy as possible. Find out more.